Speaking of crossover movies, did any of you guys ever see the animated movie that featured Voltrons 1 and 3?Â What was that about?Â Was it any good? 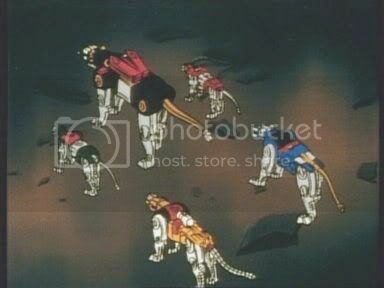 That movie was Voltron Fleet of Doom. It was a brand new american show that combined the two Voltrons. In it you get to see how the two got together and you even get to see a reunion between pidge and his "brother" from the vehicle Voltron. I just "found" this on the internet not long ago. I would also like to mention that they meet in the Devils Due Voltron series as well. It was a very good story. I got my issues out of a dollar box at a comic show. I am that if you look though you could find them cheaper. EDIT: Please see links in Roy's post above. I didn't even see this at first, it is way to early in the morning to discuss voltron. So its fully animated and directed in US then? Ok.
To the guy asking about the dvd's, I have it on good authority (second hand) that World Events Productions is in talks to release all of Voltron on DVD. I don't know many more details than that. My information comes from a gentleman that I see at local toy and comic shows. He attends these shows selling anime and tv shows on DVD. He was doing this at Kunicon, a japanese con that was held in St. Louis last year, where he got to meet and ask questions of a rep of WEP. Fpr those of you that don't know, World Event Productions is located in St. Louis near the Arch and Riverfront. Apparently WEP had a huge presence at Kunicon. My point though is that Voltron should be on DVD soon. I'll be pissed if after WEP told Madman they couldn't do extras for the Australian releases of Lion and Vehicle Voltron if they'll extra-up the US DVD releases. So I just saw the MPC Voltron at Midtown Comics (east-side) in NYC. 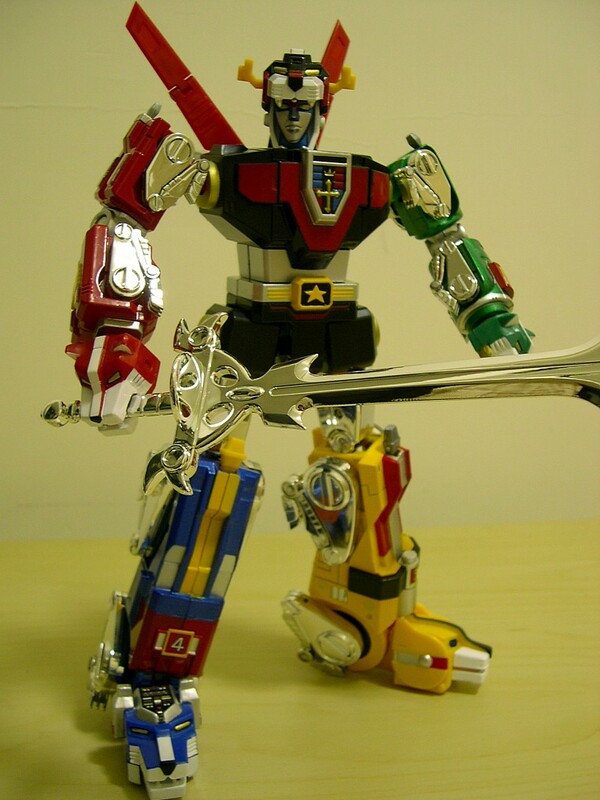 Voltron looks Anorexic. 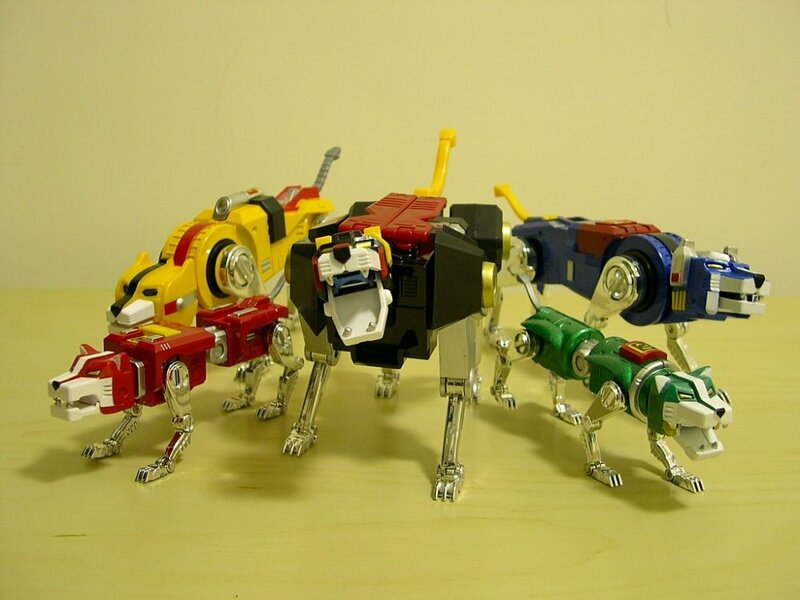 The black lion might look better as Lion now, but Voltron himself is waaaay too thin. Well, my problem with it is that the black lion STILL looks too fat, while Voltron suddenly looks like a 100lbs weekling. Lets face it, the lions actually look pretty stupid. They'll always look too stiff and ugly. One more shocking reality for you all -- IT'S NOT A VERY INTERESTING TRANSFORMATION! So who cares what the seperate pieces look like? I say they should have made a giant, fully articulated, accuarate looking super-poseable. A giant man with LION PARTS! is way more interesting than stupid looking robot lions. You're not 5 any more, get over it. Haha, sorry, I'm justing in a fiery mood today, didn't get enough sleep last night. Loins, Robot, Giant Sword...It's all good, then and now!!! BTW, anyone remember the name of the hermaphrodite in the Voltron series?? Yeah. More warning on that will ya? Hey man what's the point making this thread? To only answer a single question from you? I just got one today. (thanks, wife.) I agree with all the positive comments. I think it's a great toy. One of the things I like the best is that it has no stickers. I don't have to go through the "doesn't look quite right vs want to keep as mint as possible" mental trauma. Well, the different proportions too. Yeah I know what you mean the black lion is a little smaller than the blue and yellow lion. A big no no. I'd disagree. IN the toon, the lions are generally the same size, I would have preferred evenly sized lions if possible, but we know that wouldn't work on the big boy himself. Compared to the older golion, the new proportions are much more anime accurate. 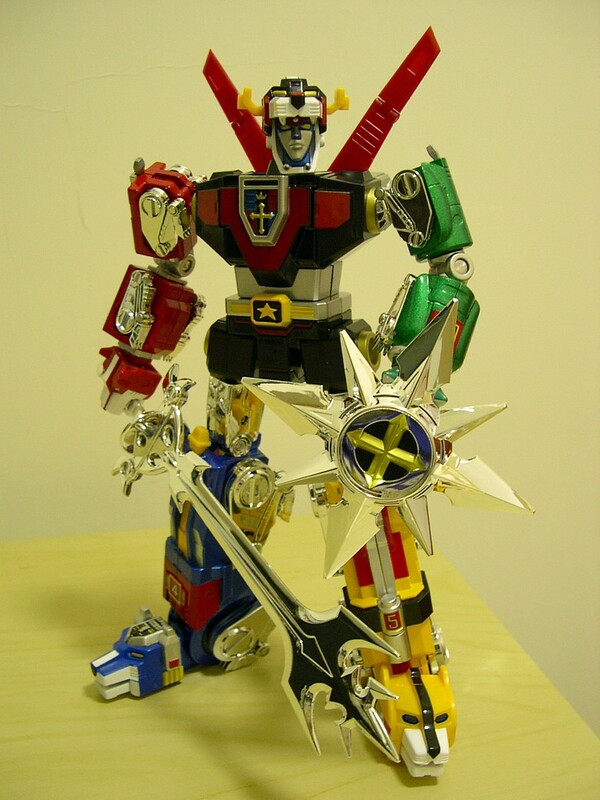 Not knockin those who like the older Voltron, but I think your preference to the bulkiness is nostalgia. Side by side to a screen shot of TV Voltron, this one is definitely a closer match. I have to agree with you. The proportions are a closer match to TV. But we all know how certain anime magic is involved. I guess you guys are right.......here is another pic with sword. I like the new proportions on this Toynami Voltron. The lions are as close to each other in size as possible, and none feel too "wrong" in my opinion. Just wish it had all the other gimmicks is all. I dig it. I think the gimmicks could have been easily included, but it's not really like Toynami to go the extra mile for their stuff. Compared to the ROBOTECH MPC stuff, this is a huge stride in the right direction, but still needs work. I would consider other TOYNAMI Masterpiece stuff as a result of this release. They show they are improving. Is there a swivel point around the waist area? I think that'd be schweet. Yeah, I think there is. It is severely limited by the belt buckle, but still better than no swivel at all. I would also like to mention too much swivel will pop the tail out. 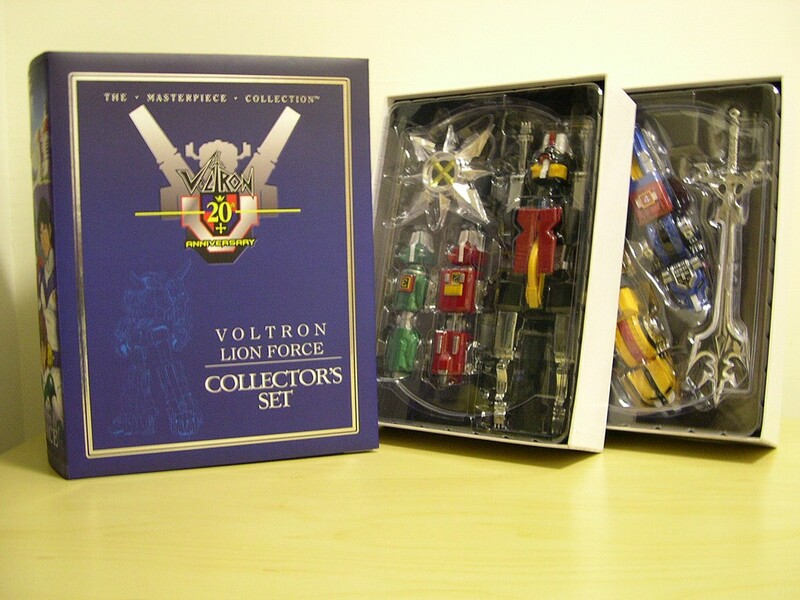 Thanks to kevin (of v-e) i received my voltron today. #3304 (did we do roll call yet?). not only was the display box mint, but it came sealed in a bag with styrofoam pieces surrounding it which was placed in a white box (with the 3304 marking) which in turn was placed in an OFFICIAL voltron/toynami carton. how much more rare can you get then that? (oddly the carton was numbered 1652 out of 2500..wonder what that means. the carton also listed which editions were inside - mine held #3303 and #3304). just random trivia since all the talk about the toy has already been covered i opened it briefly just to look at the box and the heft and detailing really impressed me. this is truly toynami's finest release yet. Nice job at getting one. Check out the original!! 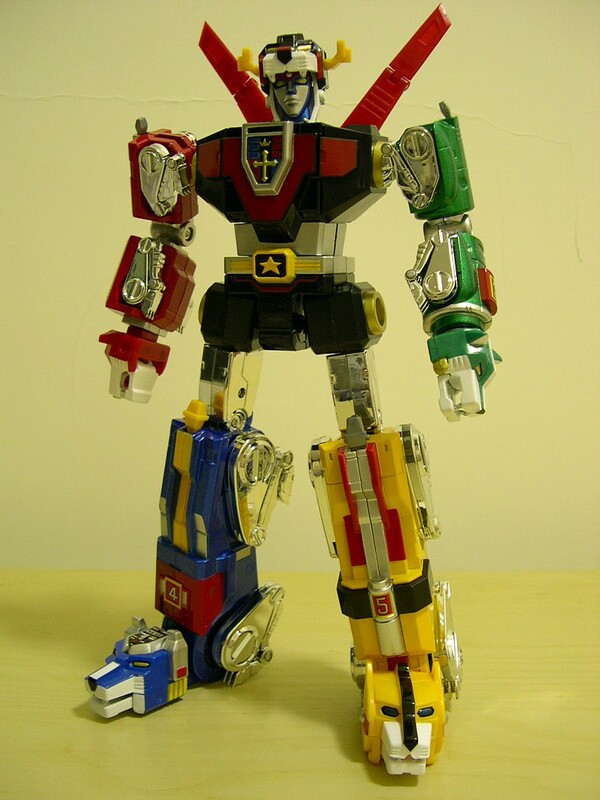 I like the scale of the MPC Voltron. Some minor compliants, not with the scale but other little details are the solid red sticker on the Yellow Lion should be red with black vents and the wings on the Black Lion fold the wrong way, anyways, here is a screen shot I got from the show that is one of the few scenes where I actually see the lions in scale. 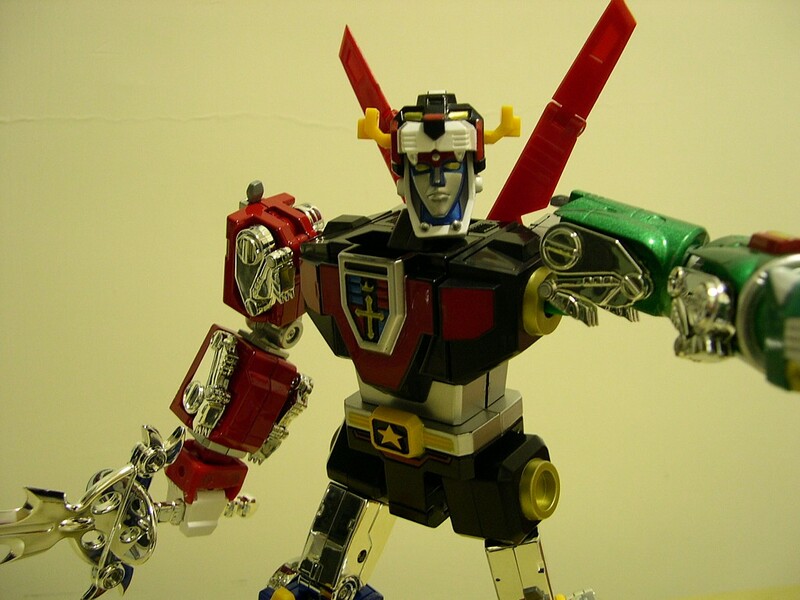 Looks spot on with the MPC Voltron. Just talked to a local toystore owner. They have these on order from Diamond and expects them to be cheaper then what they're currently going for right now. How did they choose which one everyone got anyhow? By the color of their clothes? I've always wondered about that. Was Sven originally the Black lion pilot? He wore black, Keith was red which would make him number 2 but if he were promoted to leader he'd take over the number 1 lion, Lance had a blue uniform so he should have been in the blue lion but he appears to have been promoted over Pidge who pilots the green and wears a green uniform.